I actually chanced upon this car on my way home one weekend with my music turned up loud, listening to a state of trance with Armin Van Buuren when I heard the screaming of a loud exhaust note over the music. A loud exhaust will always catch my attention and I checked my mirrors trying to make out what car was emitting that heavenly noise. The only hint were a pair of bright HIDs in my driver side mirror. The only other thing I remember was letting out a “WOW” before turning my music down and winding down the window to fully appreciate this low sitting S2000 that shot by me. It was dimly lit and late in the night on the expressway when I first spotted this car and yet, something about the car appealed to me greatly. 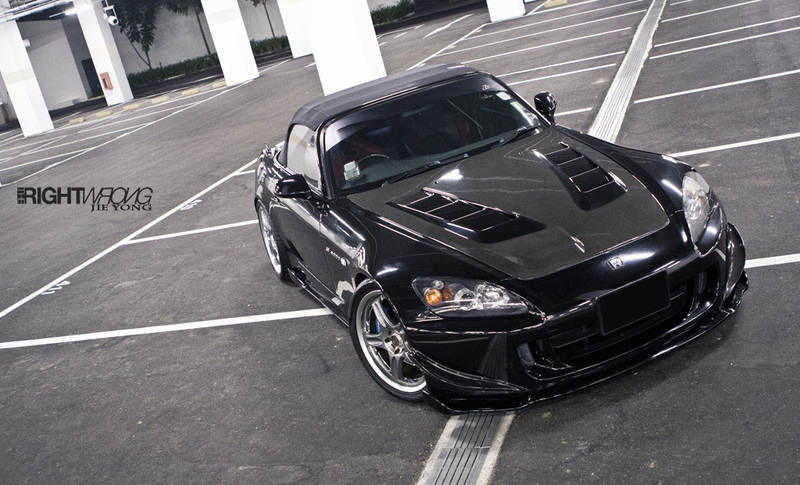 I immediately set out on a mission in hunting the owner down, making phone calls to friends in hope that somebody might be able to introduce me to an S2000 owner that could point me in the right direction of finding this car. Guess who was the very first S2000 owner I happened to be introduced to? 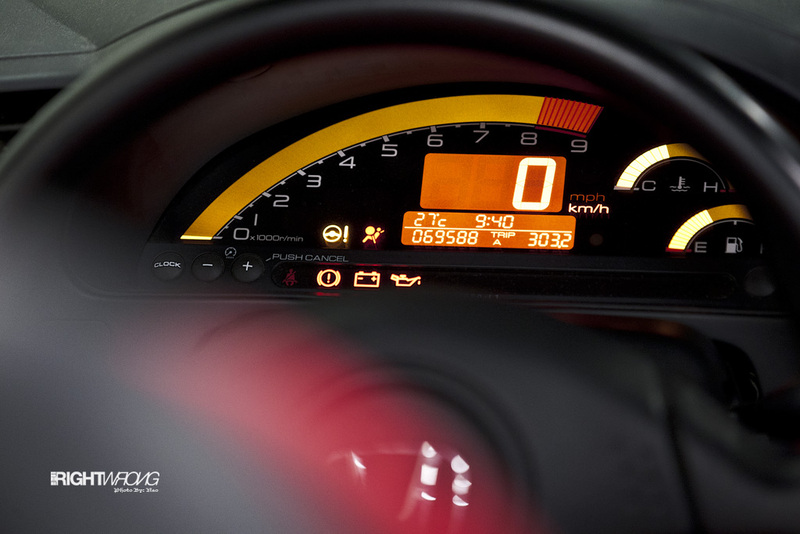 Youri has progressed from a long range of VTEC powered cars beginning the poison with his very first Honda Prelude, before moving on to a Integra Type R (DC5R) and finally achieving ownership of this brand new S2000 in 2007. I have actually encountered Youri and his previous Integra when I heard his name being mentioned after a Black DC5R shot pass the cafe I having supper at. 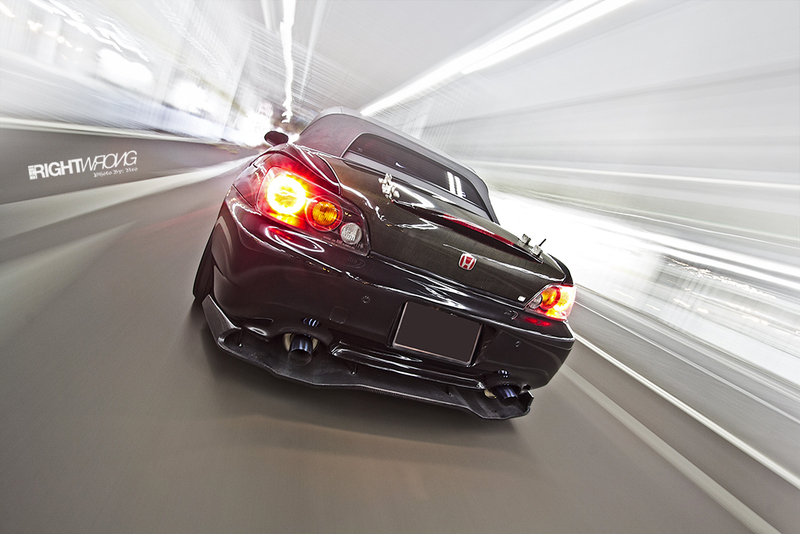 We never had the chance to encounter again and get acquainted since until I spotted his S2000 on the roads. Much like his current S2000, his DC5R was also black and carbon clad, a gem that very much deserved a feature too. 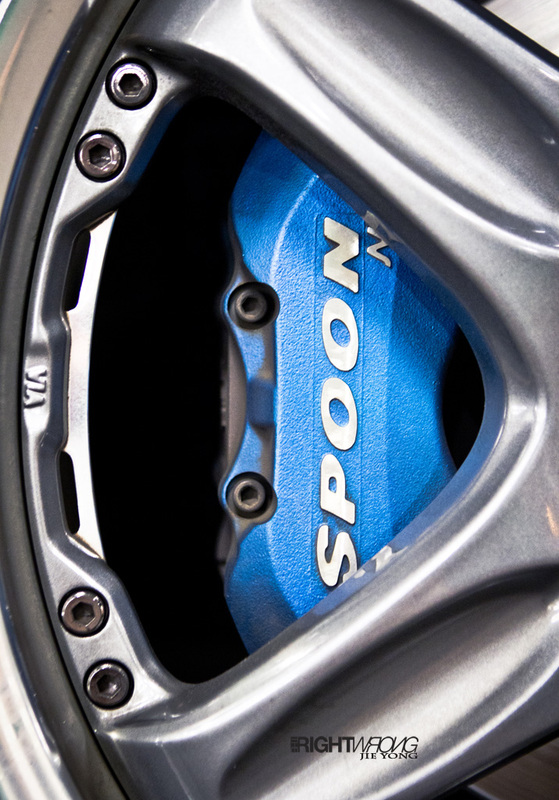 Youri has the character of a perfectionist especially to matters related to his car. 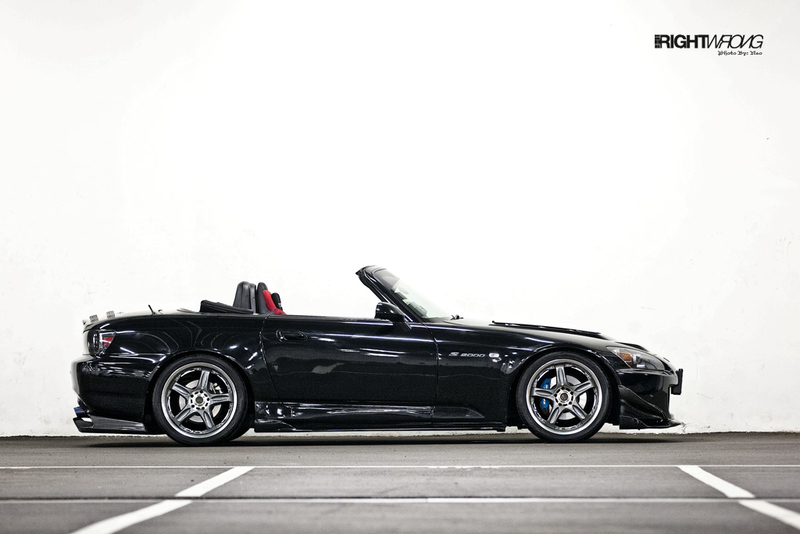 I took the chance to experience first hand the fun of a convertible car in his S2000 on the way to location. Entering the carpark with a car this low, he had to wind down the windows for me to shout directions as he inched his way down a steep carpark slope in case he busted his Mugen front lip. Naturally with the windows down, I thought nothing of closing the door by holding the top of it. When Neo, Jieyong and myself arrived to the exact spot we were going to use, I spotted Youri quietly wiping away the hand marks I left behind with a tissue paper. 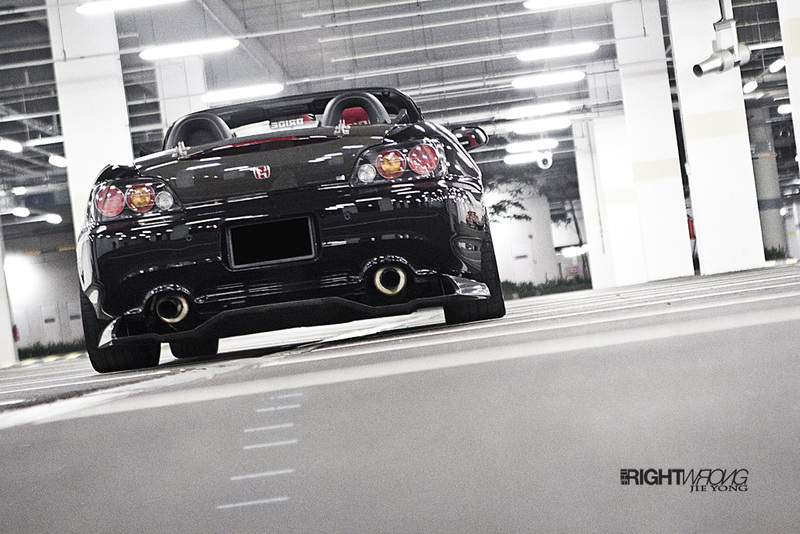 I got to know and meant to do a feature for Youri many months back, around the time that he invited us to crash the Singapore Honda Club S2000 meetup. 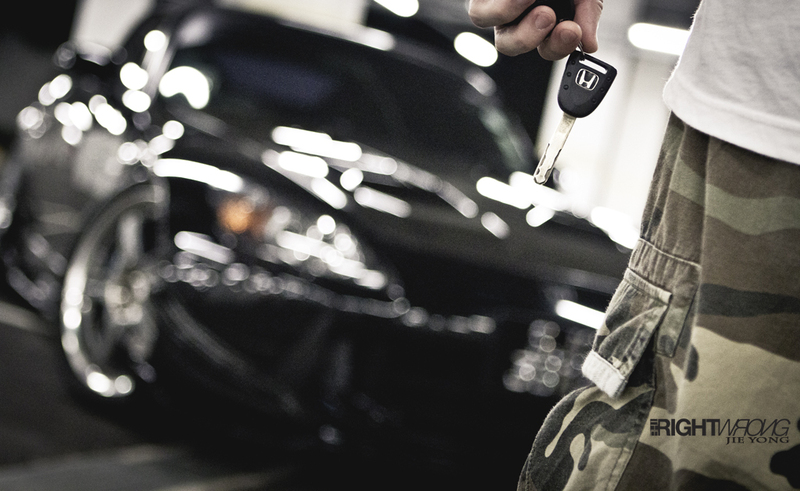 We just never got the opportunity to do a proper photo shoot of his car until recently. 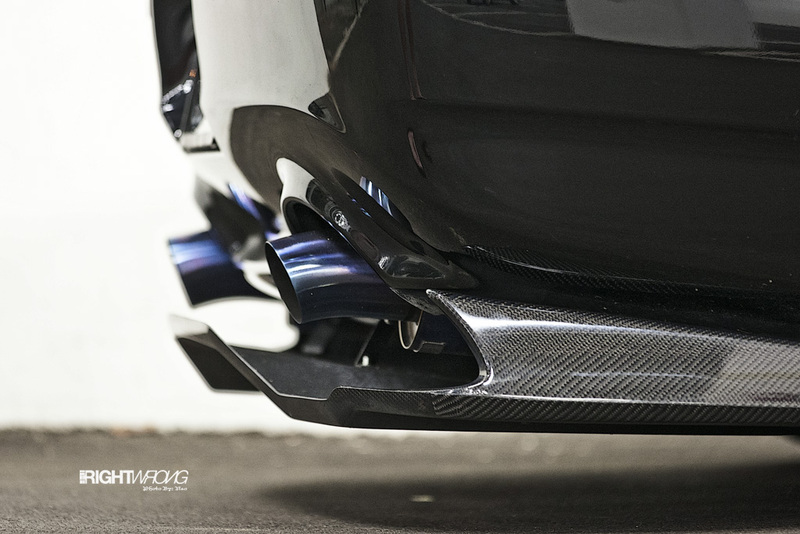 We also found out at the meetup that he actually takes the time to polish his twin titanium exhaust tips, a little detail that many people some how seem to neglect. And if you think that is extreme, Youri actually makes the effort to park his car a distance away from the kerb, before pushing in back slowly to ensure that no damage will be carelessly made to his recently acquired Voltex diffuser. 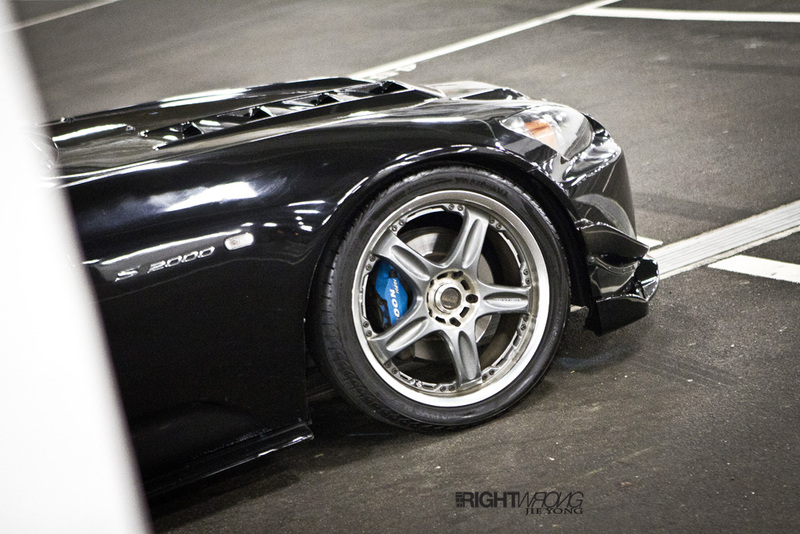 Being an S2000 lover myself, I had to speak to him about his choice in shifting from a DC5R. 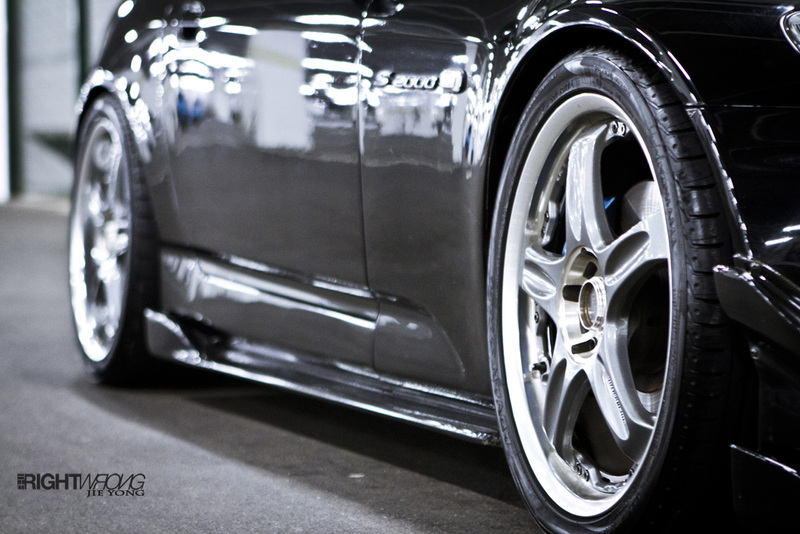 “Tyres have to be changed once a year because of the 3.5 degree camber I have to run to avoid rubbing. The fenders are already rolled and I had to reduced the camber a little more. I was previously running 4 degree camber in the rear but tyre wear was getting too extreme”. Even with this need to constantly change tyres, he still chooses to use higher performance tyres instead of taking the cheaper alternative such as Kumho tyres. That’s what we mean when we speak of dedication, right there! 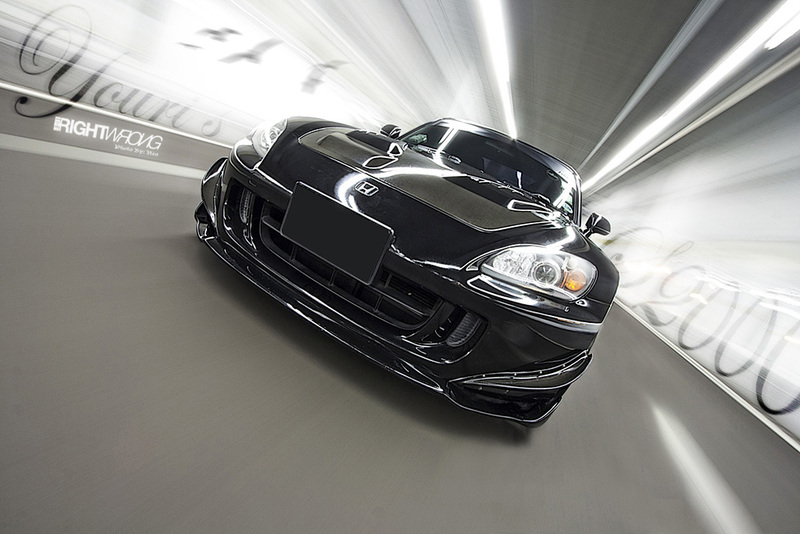 The exterior is a mix and match of many different brands of parts but it flows quite well with the smooth lines of the S2000. Bride Stradia LowMax Carbon Kevlar reclinable seat, Chargespeed carbon fiber canards, Chargespeed side skirts, Mugen front lip, Voltex carbon fiber rear diffuser, J’s racing carbon fiber bonnet, Seibon carbon fiber boot and a Varis GT Wing only used when the car is taken to the track. J’s racing header, J’s racing twin titanium twin pipe exhaust, ARC induction airbox with HKS filter, Hondata flash pro tuned. The general culture has a lot of hate for Hondas and they always seem to be some how associated as “rice”. 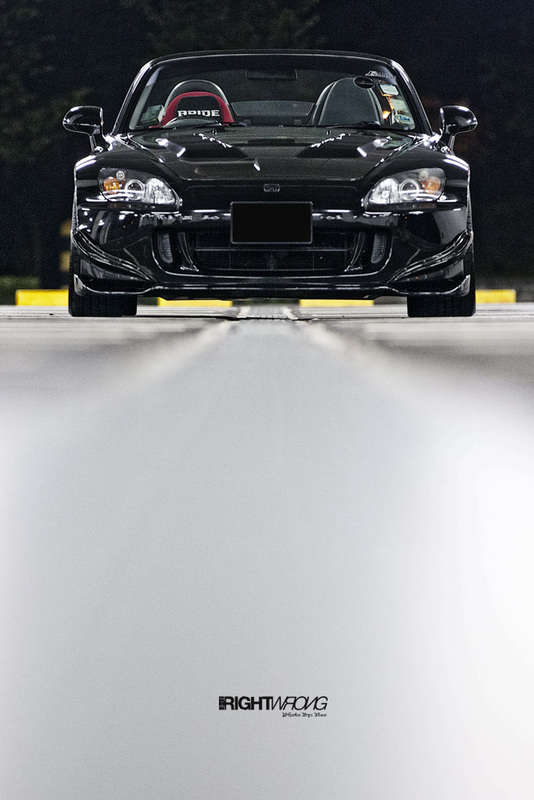 If a clean example like this is still going to be defined as rice, then I can honestly say that I would be honoured if some one would some day call me a ricer too!